Today was the opening day of the 49th season for Sugar Mountain. Many were skeptical about the mountain opening when the rumblings started on Friday about a Sunday opening day. But temperatures finally dipped and all area resorts turned on the snowmakers. True to their boast, Sugar Mountain sent out an email to all Gold Pass holders that Opening Day was November 11th for Day Session. It turned out a very pleasant surprise! Going over I thought there would be some dirt patches, or that they would open Big Birch. Coverage was excellent from the Summit Express all the way to the base. Northridge had only two thin areas, then Switchback had one patch that was easily avoidable. Upper and Lower Flying mile were great, plenty of room and completely covered. It was a enjoyable day on the snow. I was told it takes 20 hours to cover the main run at Sugar and they exceeded my expectations. Well done! With the rain moving in this week, snowmakers will have a challenging couple of days but lows at night are favorable and cold temperatures to end the week are a promising sign. Keep your eyes peeled for Appalachian Ski Mountain to open Friday, Nov 16th and Beech Mountain opening Saturday, Nov 17th. Gold Passes are still available through the NC Ski Area Association. 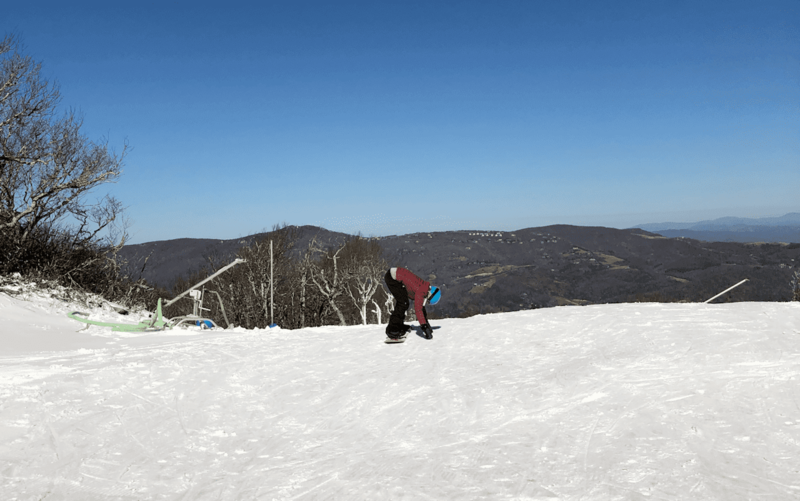 For $870, users can play at any North Carolina Ski Resort. Here’s to a cold end of the week and more openings this weekend. Check out her book “Views from 5506′ Vacationing or Surviving on Beech Mountain” on Amazon.